Christmas is the key time in which people enter church and (hopefully) hear the gospel. It should therefore be the time of most fervent prayer in the church. For this reason this Christmas, I am giving the following to my congregations to guide them in their prayers during December, and earmarking one day this month for focused prayer and fasting for the impact of God's word on the hundreds who will be with us over the period. Speaking of his concern to ‘proclaim Christ’ Paul writes: “To this end I labour, struggling with all his energy , which so powerfully works in me (Col 1v29).” Pray for energy for ministers with their high workload of preaching, leading and organising, and for lay people in their involvement and as they seek to reach out to others this Christmas. “And pray for us, too, that God may open a door for our message, so that we may proclaim the mystery of Christ, for which I am in chains. Pray that I may proclaim it clearly, as I should (Col 4v3-4).” That all preaching at services, schools, residential homes etc this Christmas would be clear about Jesus’ identity and mission. “The Lord opened her heart to respond to Paul's message (Acts 16v14).” That God would make people receptive to this message, convicting them of their sin and their need of his Saviour. “When they heard about the resurrection of the dead, some of them sneered, but others said, "We want to hear you again on this subject (Acts 17v32)." 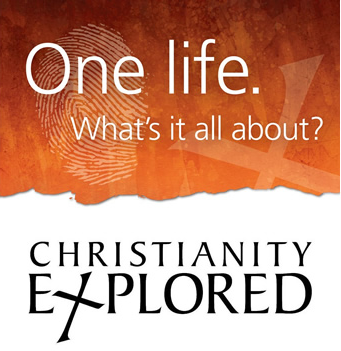 That those who hear this Christmas would want to find out more and so join our Christianity Explored Course in January. “The first thing Andrew did was to find his brother Simon and tell him, ‘We have found the Messiah’ (that is, the Christ). And he brought him to Jesus. (John 1v41-42).” That Christians would be courageous and active in praying for an inviting friends to Christmas services and events, so that they can come and meet Jesus. “Let us be thankful, and so worship God acceptably with reverence and awe (Heb 12v28).” For the leaders, choirs, prayers, readers, preachers and congregations at church services – that all would be done with joyful thanks and reverent awe. “All they asked was that we should continue to remember the poor, the very thing I was eager to do. (Gal 2v10).” Pray for those with little this Christmas, the poor of heart who are grieving lost loved ones, or perhaps feeling lonliness. “And pray in the Spirit on all occasions with all kinds of prayers and requests (Eph 6v18).” Pray for anything else about Christmas that springs to mind.